Yeah. I was calling the throttle switch a TPS. Not correct, but i have been able to improve the stalling problem by screwing in the throttle stop idle adjust and resetting the throttle switch to match. Won't help. You need to make absolutely sure that the idle switch on the throttle body is set perfectly. It is still not perfect. and I feel part of the problem is a lack of bypass valve. A big chugging surge on throttle dump seems to piss it off. My intake plumbing is very cramped by the washer bottle and other stuff behind the passenger headlight, but ill figure out a way to squeeze a cbv in there. I bumped boost pressure up to 10-11psi and now it is starting to feel like a real turbo car. 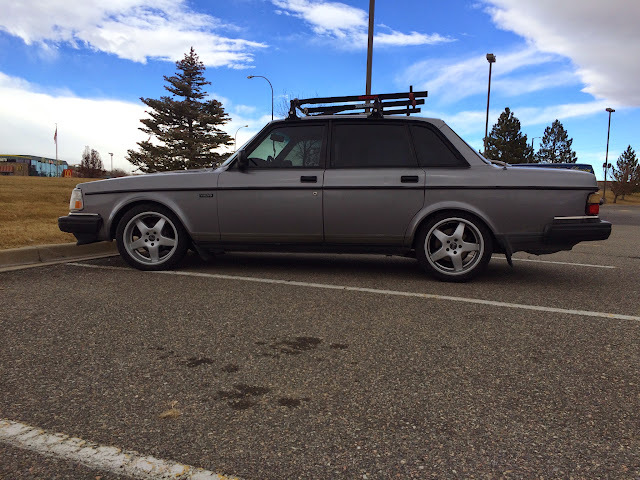 It is Super fun now, and approaching my vision of a good daily driver Volvo. If reliability stays good I'll be content. I have about $4000 into it now and enjoying it as much as the R wagon i sold. I Lowered it this weekend. T3? Worthwhile getting a Turbo washer And coolant overflow bottle. My intake tract uses all 740T stock bits including the airbox. Forge 007 fits there nicely. Hose of the correct size is tough to procure though. One if the main reasons why I'm switching to a TD04HL. Packaging is just so nice with the small frame turbos. idk, had to drastically cut my box to make it fit. Small caveat. Louder than the cone filter that was before it for sure. Acoustic foam will be your best friend to keep the squirrelly and whooshy noises muffled. Harribert, Interesting observations about the noisy airboxes. I drove it to work today and it is behaving pretty decently now. Maybe LH2.4 is learning some lessons because it is running better and better. I still get a stumble when I drop throttle, but its not horrible and the engine doesn't die. Other than that issue its a pretty comfortable daily driver again. The exhaust note is about perfect, not silent but no droning or annoyances driving around. It has a nice deep gurgle idling. I'm not sure I could pass it off as a stock exhaust to anyone who knows Volvos, but close enough. The emissions police will be happy I'm sure. I just want to put some miles on it now. That is exactly what I bought the car for a couple months ago and I have been missing it for the last couple weeks during the turbo-ing. You guys are so cute with your little itty bitty turbos and all the noises its makes. How often do you drive your car again? I like to call it Everboost. I swear the car never drives with the boost gauge needle below zero now. Quite a bit but I also have 2 morgans and one Citroen 2cv. SO, yeah. And people call me weird for driving Volvos. The engine dies sometimes when I close the throttle. And worse if I close it quickly from boost. I'm not sure what is causing that. But I'll fack around with tps and MAF orientation to see if That helps. My +T had that too. Turned out to be the throttle plate stop screw that was adjusted for a too low base idle. It should be roughly 500 rpm with the idle air hose closed shut. Adjust iTB-switch as well after correcting base idle. The old T3 is a decent turbo. 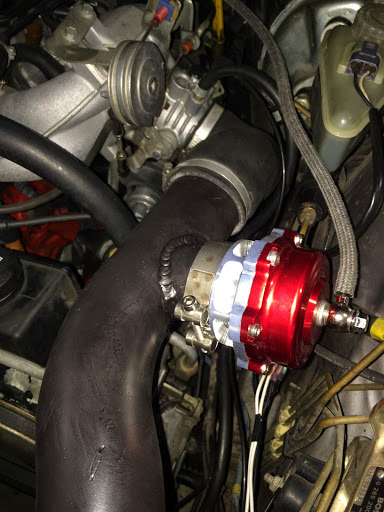 Not insta-boost but it spools nicely from 2200 rpm on and can reach full 9 PSI at 2500 rpm (.63 turbine hsg). get that t3-60 trim compressor wheel upgrade. you know you want to. Where do I find that compressor upgrade? I'm sure I'll get around to a turbo upgrade eventually. I have a good new t04e50 trim here that is way too much turbo. That will go on my other car. And I have a Chinese made T3/T4 that needs fresh bearings. That was actually a nice turbo on my old 740T automatic DD car. I also have a 15G somewhere. But right now I'm just enjoying the simplicity of an LH2.4 plug and play car. The oil drain and exhaust were a bit of work, but it was nice to have it run with the first turn of the key when I finished the mechanicals. I had to turn the throttle stop screw in 2 - 3 rotations probably. I suppose the long intake tract just doesn't flow the same as the short NA car and you gotta crack the throttle open some more to get the base idle right. I reset the throttle switch to match and that did the trick here too. I still get a weird lurch when I drop the throttle from 10 psi boost, but I have to think that all the air flowing backwards through the turbo and MAF is causing a big rich spike. I'll get a bypass valve installed next week. any turbo shop should be able to do it, you can probably get the wheel and housing just about anywhere too. the Nissan housing is just about a direct replacement for the volvo housing in terms of inlet and outlet with no dramas. the ford housing is larger, but, eh..
Nice. Not sure why the boosted cars are so much more sensitive to this adjustment.. Mine also stalled when coming to a stop directly after boosting with a recirc valve when the stop screw was out of adjustment. The 60 trim compressor is nice, have one on my +T as well. I got another thing done last night. 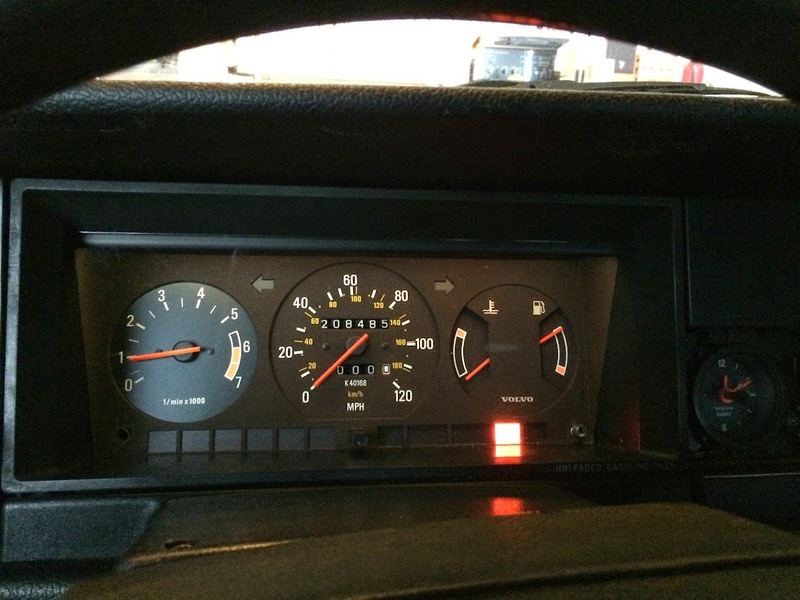 I removed the big clock in the instrument panel and dropped in a tachometer. The little clock I plugged into the empty hole at the right. But the little clock seems dead. So I have a tachometer, but no clock. Also I fixed broken plastic thingy that resets the trip meter so I'm ready to log another 100k miles on this low mileage old brick. And another photo I took from underneath the car. 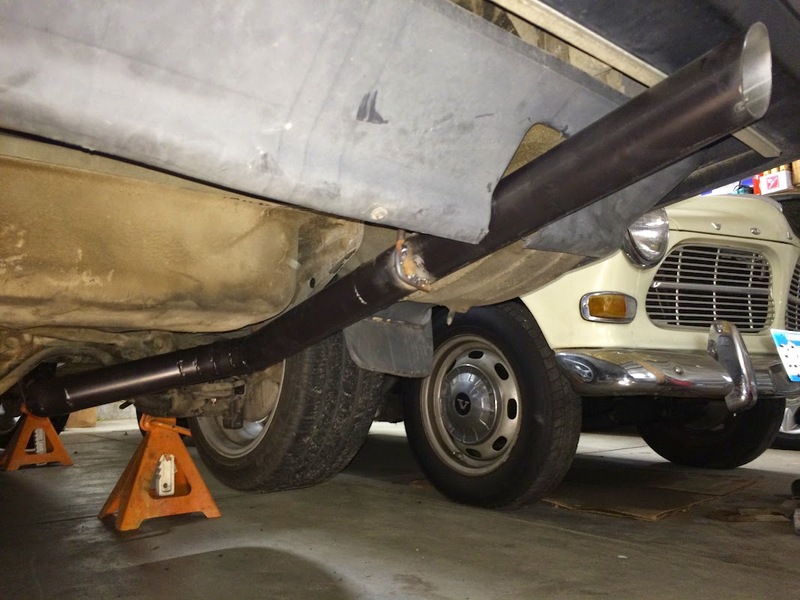 The exhaust system seems to have good clearance from the car moving bits, and hasn't scraped on any thing yet. Last edited by qwkswede; 12-23-2014 at 02:24 PM..
Now venting leftover boost pressure to the atmosphere. This seems to have cured the problem where the engine dies and stumbles when you close the throttle rapidly from high boost. I suspect the pressurized intercooler and pipes venting back through the mass air meter were causing a big rich spike. Now that air has a better place to go. Nice car. 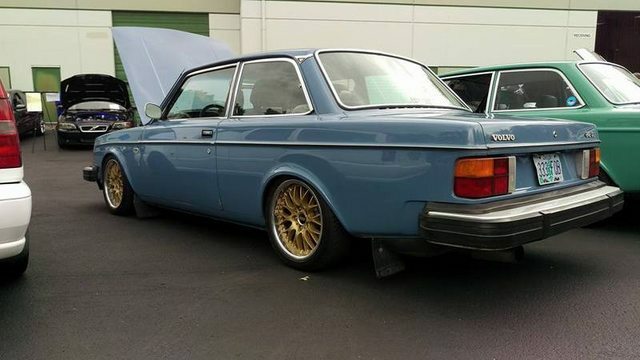 That's one of my favorite Volvo colors.